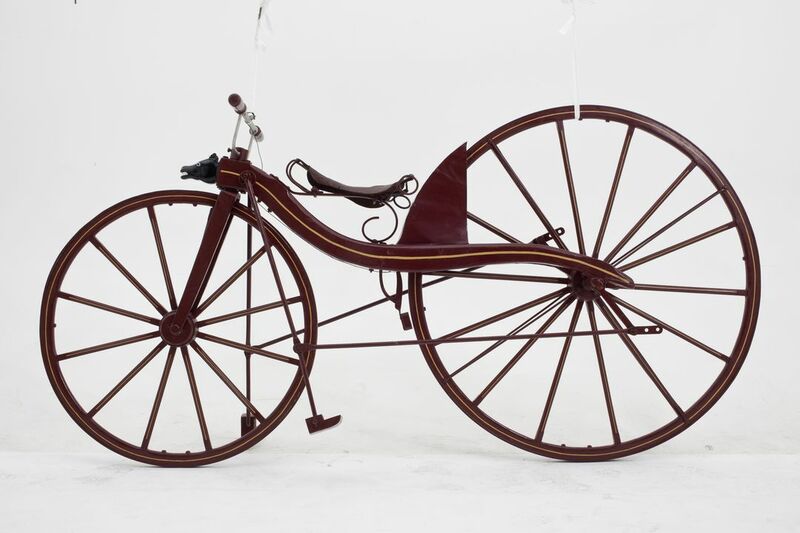 Bicycle with wooden frame and wheels, treadle and lever action. First two-wheeled cycle with mechanical means of propulsion. This object is currently on display in Store 3 at the Museums Discovery Centre.